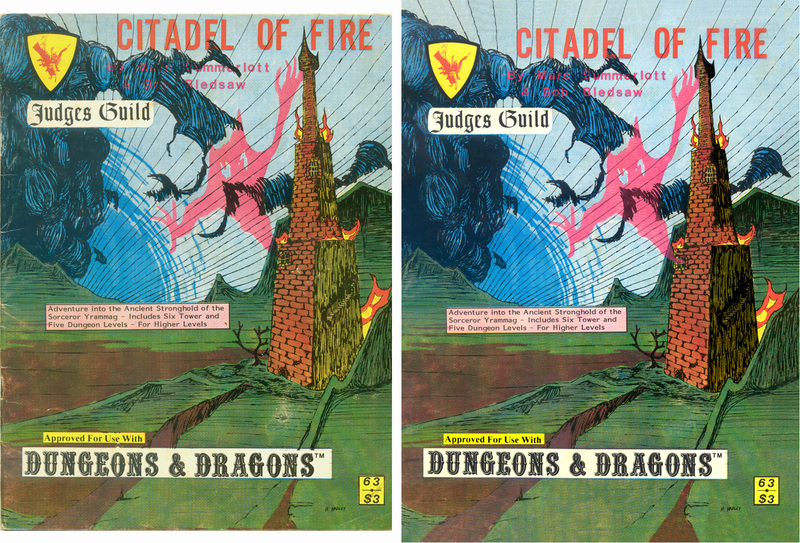 In the earliest days of role-playing, Bob Bledsaw and Bill Owen co-founded Judges Guild in Decatur, Illinois to publish products compatible with Dungeons & Dragons. 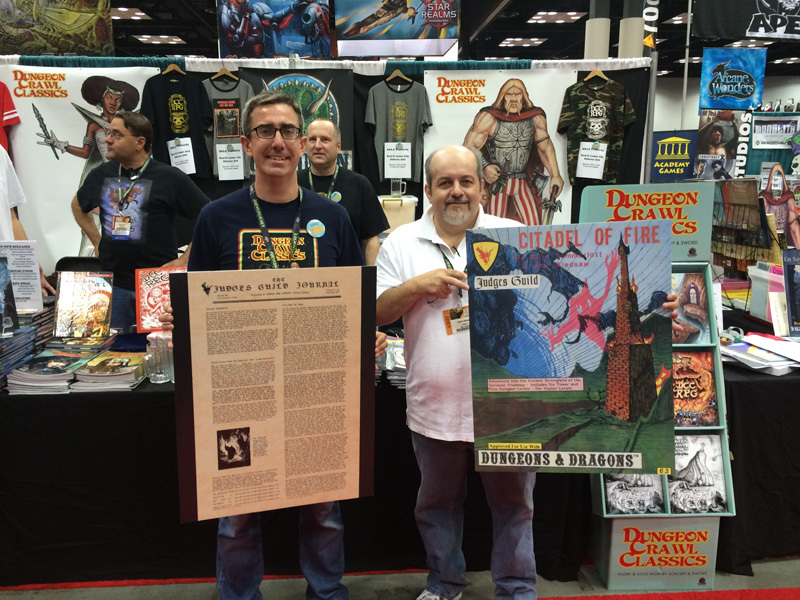 When their first product debuted at Gen Con 1976, it heralded the next chapter in the Golden Age of RPG publishing. 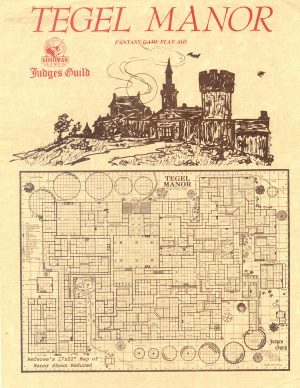 Judges Guild introduced the concept of the adventure module, among many other innovations, and changed the course of Dungeons & Dragons play. 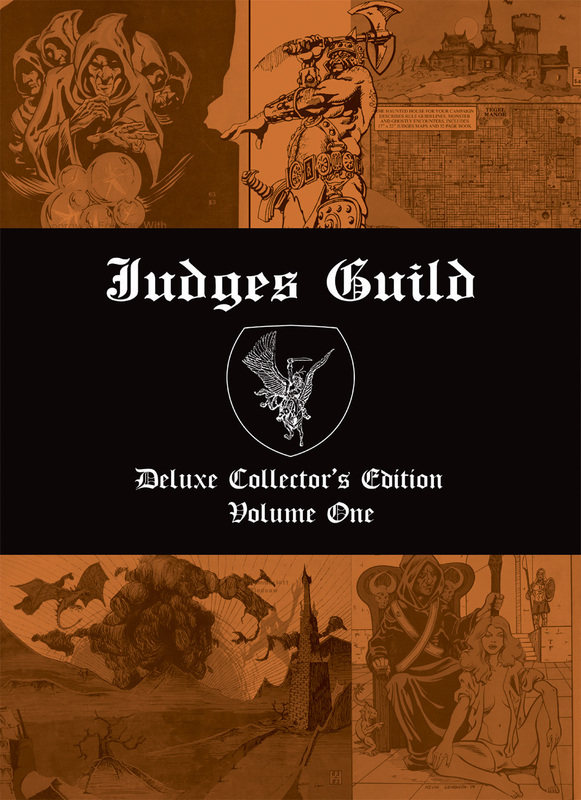 Now, 40 years later, Judges Guild has authorized Goodman Games to publish archival collections of classic Judges Guild material. This volume contains 1970’s-era Judges Guild RPG publications, scanned from the original publications and digitally restored. 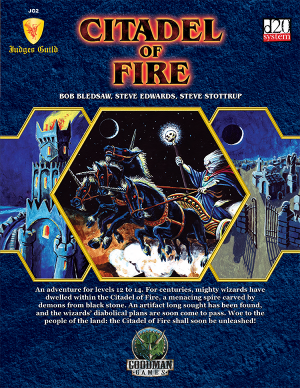 Contained within these pages you will find the legendary adventure modules Citadel of Fire, Tegel Manor, and Thieves of Fortress Badabaskor. Each of these adventures changed the course of role playing. 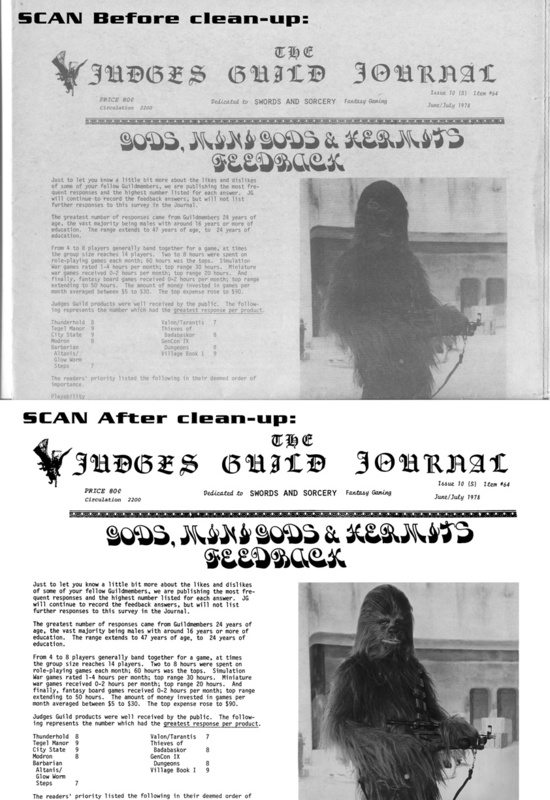 Also included herein are scans of the original Judges Guild Journals, the gaming periodicals that were shipped with each installment of Judges Guild mail order product. 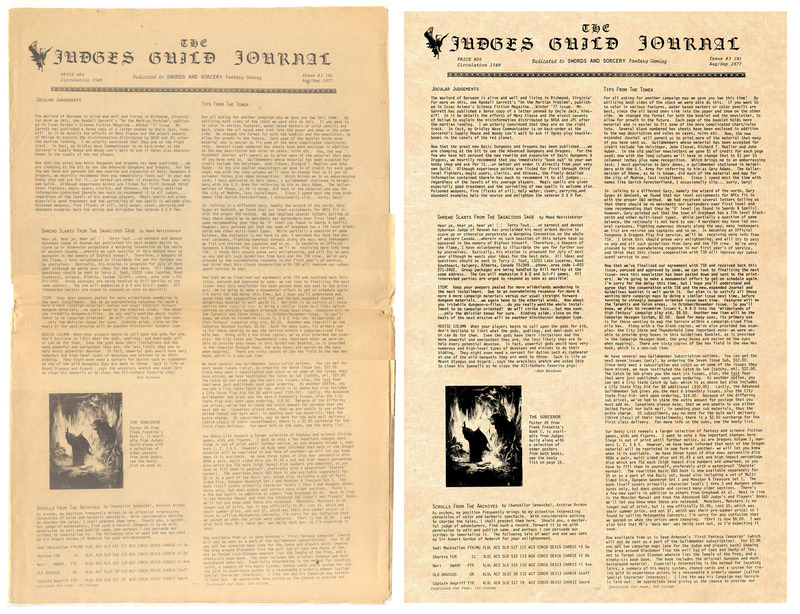 The Judges Guild Journals have never before been reproduced in any format. 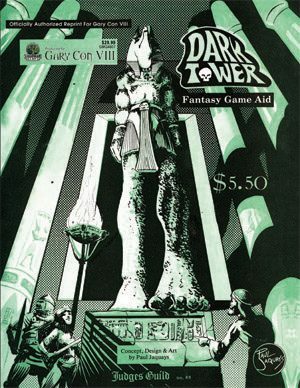 Finally, you will find a number of historical essays, as well as all-new game material expanding the original adventures, all authorized by the Judges Guild. 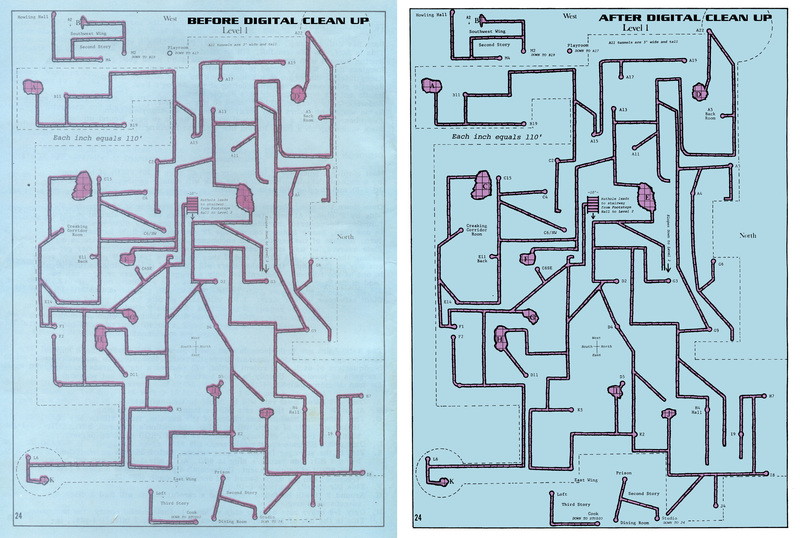 Gamers today who seek to recapture the excitement of their youth will find it in the pages of the Judges Guild. This book connects you to an era of unbridled imagination. 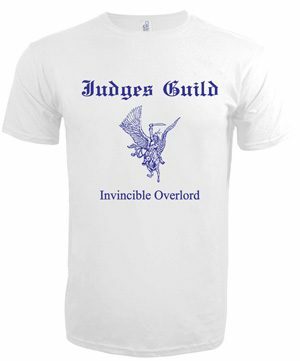 It collects some of the finest work of Judges Guild in its original published form. This is the Golden Age of Role Playing presented as it originally happened, when the concept of “adventure module” had never been seen before. This massive oversized hardcover book measures 12” wide x 18” tall. It is 232 pages long, including four gatefold pages. It ships with a dust jacket inside a custom-printed corrugated shipping box to keep it protected in transit. 874 backers pledged to help bring this project to life. See the kickstarter here.